Foosball is one of the older tabletop games that you will come across. It was first invented in the early 1900s, and it has since evolved into a game with a relatively large following. Due to foosball's long history, there is quite a large variety of equipment from different eras. This makes it surprisingly easy to find vintage equipment. In this article, we are going to be looking at some of the things which are important to know about vintage foosball tables. If you are a prospective buyer of a vintage table, there is some info that can help you make the most informed purchase. These tables can get rather expensive, so it helps to know what you’re buying before going through with your purchase. 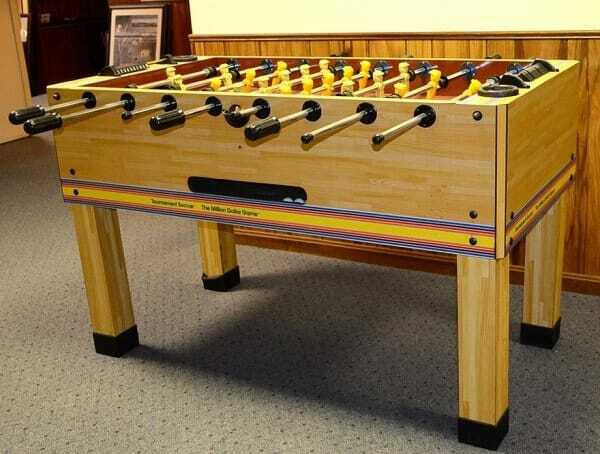 There is a difference between a foosball table which is a vintage model and one which is designed to resemble one. It is important to make the distinction because these two types of tables are similar yet very different. Actual vintage tables are foosball tables which were designed and built at least a couple of decades ago. 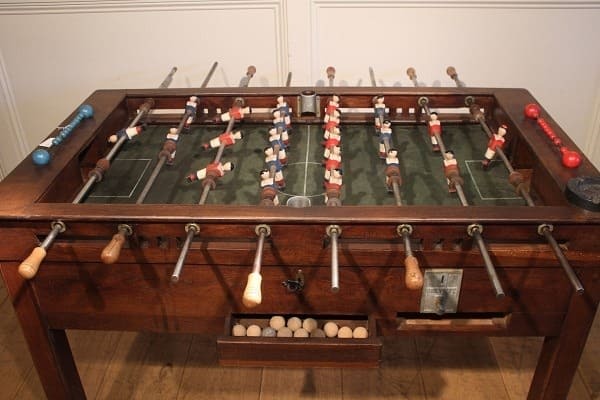 Most vintage tables that collectors refer to are models which were made in the 60s and 70s, as it can get very pricey to find foosball tables which were made before those particular decades. Tables which feature a vintage style could have been produced in the past year, but they are meant to look and feel like tables which were made a long time ago. This means that it is easier to find replacement components for them, but they lack some of the aspects which make retro tables preferable. You may be wondering why people would want to invest in retro foosball tables when there are perfectly good standard tables available. You will find that there are a few reasons that retro tables are an excellent choice for any serious foosball player. Primarily, retro foosball tables offer much better build quality than all but the most expensive models from the present day. 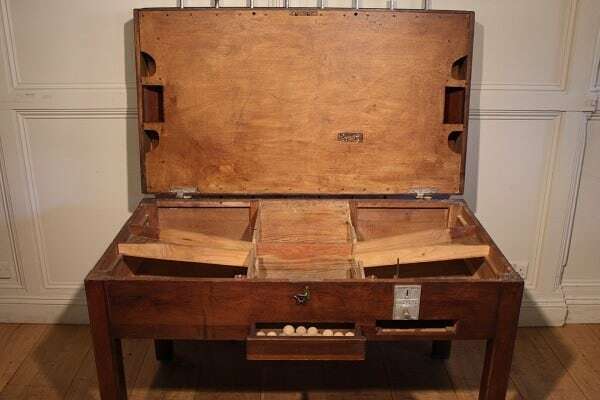 Foosball tables, like many other products from earlier eras, tended to feature much more resilient construction than they do today before quality was exchanged for quantity. Many retro foosball tables were hand-assembled, unlike the mass produced models of today. You will find that this makes for a different game and significantly reduces the number of manufacturer defects present in retro tables. There are other advantages to retro tables, however. Retro foosball tables also tend to feature a more stylish aesthetic than newer tables, which may better complement the look of your game room. They tend to feature solid wooden frames that are not painted over with gaudy decals like you will find on many modern foosball tables. 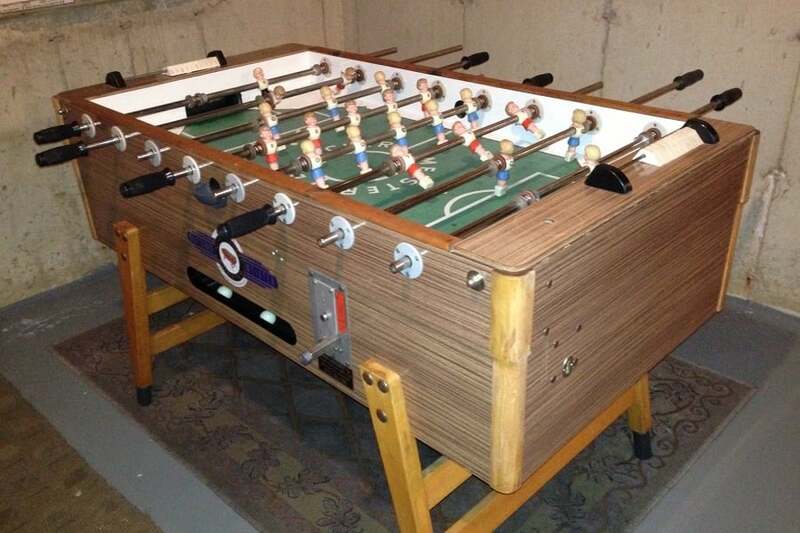 These older foosball tables usually have some degree of class that's hard to find in their more modern counterparts. There are also a few reasons why you may prefer more modern foosball tables, however. It is always important to consider both the pros and cons of your decision when buying any product, and it is the same for retro foosball tables. Retro tables tend to be a little less tight when it comes to gameplay tolerances simply because they are older and tables tend to loosen up over time. If a retro table has been properly maintained for the past few decades, then it is likely that it will have maintained most of its gameplay quality, but that can be quite rare and expensive. Speaking of price, that is another disadvantage of retro tables, and why some customers prefer tables which are built in the retro style as opposed to the genuine article. Every year, the number of retro foosball tables decreases, as some models are lost to mechanical issues, fires, etc. This rarity makes these tables pricey. Speaking of rarity, the scarcity of replacement parts available for retro foosball tables is one of the main issues behind why they are so hard to find. Since these tables are so old, it can be pretty hard to find parts for them, and when you do find the parts you need, the price will very likely be massively inflated. 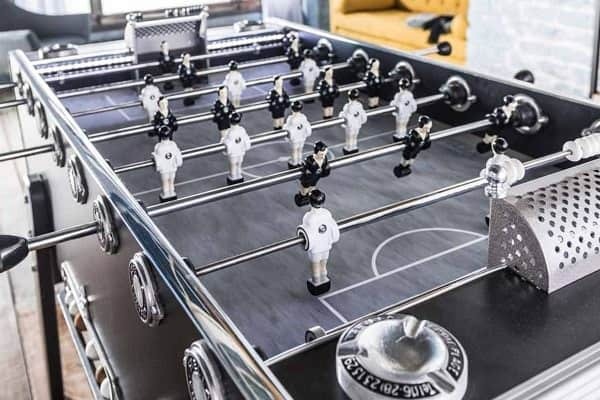 The market for retro foosball tables can be quite cutthroat, as you will find when it comes to any market for retro products. The combination of yearly price inflation, lack of replacement parts and so much more makes for a community which is tight-knit but still highly competitive. If you come across a vintage foosball table which needs some work to function properly once more, there are some steps that you will have to take. First, you will have to assess the damage and see what you need to replace in your foosball table, and what components are still working properly. During your assessment process, you will have to take the table apart, so it is important to ensure that you know how to put it back together. You can either trust an online resource, such as a video or instruction manual, or you will have to catalog everything that you do when taking the table apart, as well as keep track of each part. Once you have found out which parts are causing you trouble, you will have to order replacement parts, which can be a long and arduous process for less popular retro tables. While there is a reasonably large market for retro foosball table replacement parts, it is still difficult to find the parts which you will need at a reasonable price. We hope that we have been able to enlighten you about the pros and cons of deciding to purchase a vintage foosball table. As with any other retro product, there is nothing quite like a vintage model. There is something unique about the older models you will come across, as their age tends to give them character. Is there a place to go to sell a retro table that you recommend? I have one that may be able to be used for parts.